It’s time for our monthly free printable. I hope you enjoy this the June National Day Calendar for 2018. It features one special national day that I have chosen to feature for each day of the month. You can use it to plan your food, craft projects and decor activities for the whole month! This free printable calendar is exclusive to readers of Always the Holidays and gives you lots of reasons to celebrate the month, one day at a time. You can print out the calendar here, or just click on the image below to go to the download page. The calendar will print out on letter size paper in the landscape format. June is National Camping Month, and lots of the national days are devoted to the outdoors. But that is not all there is to celebrate. The month is full of days that honor fathers, summer time food, pets, and even brides! Want to find out more about all the National Days? Be sure to check out my National Day Guide. It gives information on all the pages that I have on the site that give information about these special days. If you’d like to find out what other days are celebrated in June, be sure to check out the list of National Days in June. There are over 200 days to celebrate this month! 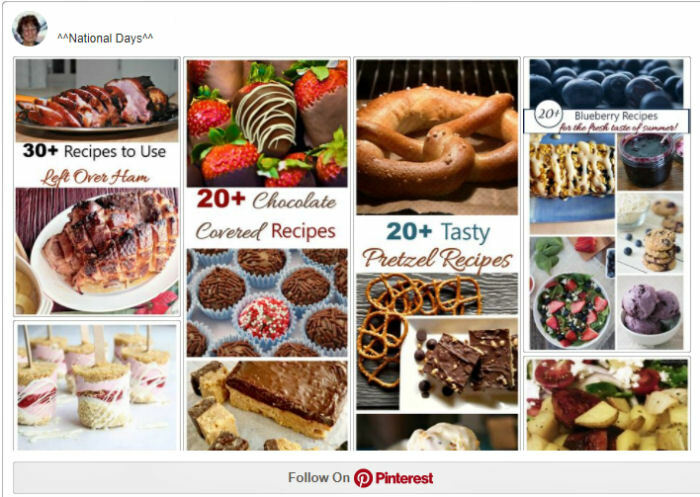 Also be sure to check out my National Days Board on Pinterest for lots of great ideas. I make a new calendar each month of the year. If you’d like to be notified when next month’s calendar comes out, be sure to sign up for my newsletter. 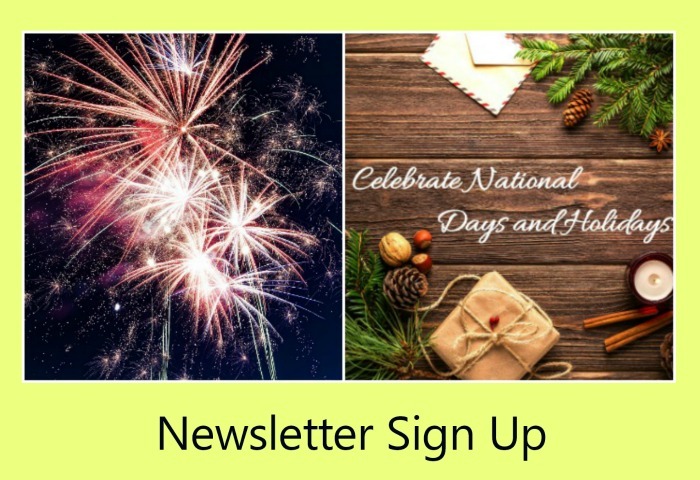 It will come right to your inbox, each time I add a new post to the blog and you’ll get a heads up when the new calendar comes out. Please note: Calendar printables take me a long time to make. These National Day Calendar printables are for personal use only. If you are sharing these (and thank you for that!) please link directly to this post and not to the actual image. I appreciate your help in supporting my site. The calendar may not be used for any retail purpose. You will receive a confirmation email that can take several minutes to arrive. Once you confirm this, you will be all set up to receive the newsletter. Don’t worry, your email address is safe. I will only use it to send out the newsletter and will not share it with anyone. You can opt out at any time by clicking the unsubscribe button at the bottom of any email. What is your favorite National Day to celebrate in June?